Glenda travelled on our Christmas in the Slovenian Alps tour in December 2018. She experienced a perfect Christmas with snow covered mountains, Christmas lights, warm log fires and Christmas cheer all around. It’s hard to put a finger on exactly why the Northern Lights appeal to us so much. One thing’s for certain, their attraction is far greater than sheer beauty alone. It is quite simply, one of the world’s great cities. Its colourful, turbulent, chequered recent past adds to the mystique, vibrance and cutting edge cool modern Berlin exudes. In France, the main event of the holiday season is the Christmas ‘Réveillon’; a long and extravagant dinner enjoyed with family and friends. There are some places in the world where travel ‘curation’ is virtually essential and Britain is surely one of them. 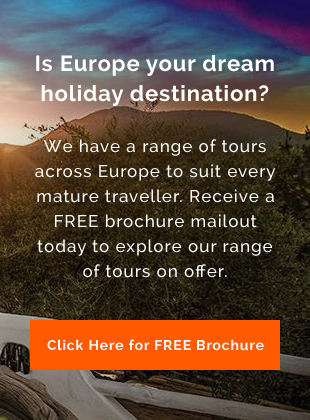 Albatross Tours has taken thousands of mature Australian travellers on tours through Europe. Our coach tours are designed to ensure you have the best possible time while on the road.